Jay Zegler, age 38, of Hayward, WI passed away on Friday, January 11, 2019. Jay James Zegler was born July 26, 1980 in Baldwin, WI the son of Paul and Kimberly Zegler. Jay and his family lived in Baldwin/Woodville until Jay was four years old and the family moved to Hayward, WI. Jay attend school in Hayward and participated in the basketball and baseball programs. He graduated from Hayward High School in 1999. Jay worked in various residential construction trades including electrical, plumbing, carpentry and painting. He enjoyed hunting, fishing for walleye, splitting firewood, and loved all sports. 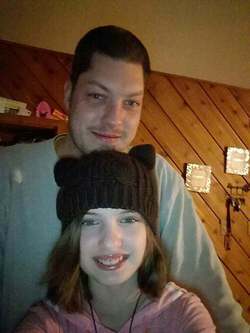 He loved spending time with his daughter and together they would go to Marvel movies, play video games and have fun with their dog, Jynx. He will be remembered for his joking personality and being quite a character. Jay is survived by his daughter, Jaelyn Marie Zegler of Cable; parents, Paul and Kim Zegler of Hayward; sister, Robin (Sam) Lulich of Ashland, WI; maternal grandmother and step grandfather, Ann and Daniel Gudis; nieces and nephews, Taylor, Leann, Adam, Ashley and Bailey; the mother of his daughter, Jaclyn Rohlfing and the entire Rohlfing family. He was preceded in death by his maternal grandfather, Michael Burnett; paternal grandparents, Ray and Helen Zegler. A memorial service will be held for Jay at 11:00 a.m. on Wednesday, January 16th, at Hayward Funeral Home with Deacon Mike Ryan officiating. A time of gathering with the family and friends will be held from 10:00 to 11:00 a.m. on Wednesday at the funeral home.